Cherry Gold was established in 2004 which means that the virtual casino has plenty of years of experience and knows how to please every type of gambling fan. When it comes to providing diversity in gaming options, this online casino definitely does a great job. Thanks to the software platform of RealTime Gaming (RTG), casino patrons have the chance to play various slots, classic table games, progressive titles, video poker and other exciting casino variations. Being a RealTime Gaming casino, Cherry Gold gives its members the freedom to choose whether to download the software of the site or play instantly. For those who are on the move, there is also the advantage of accessing Cherry Gold via a mobile device. Even though you will be playing on a smaller screen, your gambling experience will be in no way inferior to the web-browser one. The promotional deals that Cherry Gold has in store allow those who have newly joined the casino to revel in thrilling and rewarding gambling experiences. 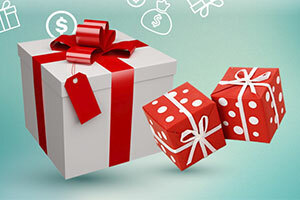 Newcomers can significantly improve their winning chances with the help of a generous Welcome Bonus, while regular players can make use of various monthly events and promotions. When it comes to playing online for real money, it is definitely important to know that you can easily upload funds and withdraw your winnings. This is why players will have no trouble to manage their bankroll via several easy-to-use, fast and secure payment methods. Among the banking solutions accepted at Cherry Gold, you will come across credit cards as well as Bitcoin. To ensure that players will always play in a safe environment, the interactive casino utilizes a 128-bit encryption technology. This means that any sensitive data that enters or leaves the website is protected and no one, except you, will have access to the information you are sharing with Cherry Gold. In addition to the high levels of security, the virtual casino also uses a Random Number Generator which ensures that the outcome of every game at Cherry Gold is arbitrary. Cherry Gold is licenced and regulated by the authorities of Curacao which are well-known in the iGaming industry. This ensures that the online casino abides by strict regulations and offers its patrons fair gambling conditions. 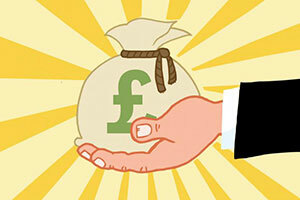 Online Since Cherry Gold was established in 2004 and has extensive experience in the iGaming industry. Minimum Deposit/Withdrawal The minimum amount that can be deposited at Cherry Gold is $25. The withdrawal minimum is set at $100. No Deposit Bonus Players can use the promotional code 15FREE to claim $15 No Deposit Free Chip. The wagering requirements for the free chips are 40x for slots, 45x for card games and 60x for roulette variations. Welcome Bonus New members of Cherry Gold have the chance to claim a 350% Welcome Bonus. In order to be eligible to receive this bonus, newcomers must make a minimum deposit of $25 and use the promotional code MELLOW350. The Welcome Bonus comes with wagering requirements of 30x which apply on the sum of the deposit and the bonus. This is a one-time offer which is available only to new players who are about to make their first deposit at Cherry Gold. Regular Bonuses In addition to the Welcome Bonus, Cherry Gold offers its patrons different monthly promotions which often award Match Bonuses and Free Spins. It is definitely worth it to head to the Promotions section of the web-based casino and check its constantly updated offers. Loyalty Programme At Cherry Gold, players have the chance to join the casino’s VIP Club by simply playing for real money. Every wager of $10 earns you 1 Comp Point. As you collect Comp Points, you can enter the multi-tier VIP Programme of Cherry Gold and enjoy exclusive bonuses, higher deposit and withdrawal limits, cashback promotions and other perks. Players can also redeem their points for cash and the conversion rate is 100 points = $1. Sofware Cherry Gold has decided to join forces with the software provider RealTime Gaming. 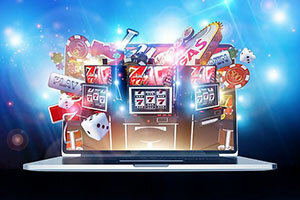 The company is mainly focused on creating video slots but it also provides table games, video poker and other games that entice with great design and bonus features. Popular Jackpots Currently, the biggest progressive jackpot of Cherry Gold is offered on the slot Aztecs Millions. Other popular jackpot titles include Jackpot Piñatas, Spirit of the Inca and Megasaur. Game Types Players have the opportunity to explore various casino categories such as classic and video slots, table games, video poker and specialty games. Live Casino Cherry Gold does not offer live-dealer games. Mobile Casino If you are on the go, you can easily access Cherry Gold via the browser app on your smartphone or tablet. It does not matter whether you are an Android or iOS user since the mobile casino is compatible with the majority of smart devices. Deposit Methods Cherry Gold patrons can make deposits using some of the most popular credit cards by Visa, Amex and Mastercard. Alternatively, they can also use the cryptocurrency Bitcoin. Currencies Players can choose between USD and EUR for the currency of their casino account. Language Unfortunately, Cherry Gold is available only in English so players will have a difficult time if they are not fluent in the language. Support Virtual players will be able to resolve any issue with ease by contacting the responsive agents of Cherry Gold. The Customer Service team can be reached via a Live Chat option. You can also opt for sending your queries via an email at support@cherrygoldcasino.com. The online casino also has toll free phone lines you can call. Licences Cherry Gold holds a valid license issued by the authorities of Curacao. This proves that the casino is properly regulated and ensures a fair gambling environment. In order to provide something for every type of casino enthusiast, Cherry Gold has prepared a wide range of games. Those will please everyone from the biggest slot fan to the players who enjoy classic table games. Due to the fact that RealTime Gaming has powered the games at the interactive casino, you can expect fun themes, cutting-edge graphics and bonus features. This will guarantee that players will both enjoy the gameplay and will be able to win great prizes while doing it. Players will have the opportunity to browse through various gaming categories and pick the titles they find most entertaining. In addition to loading the games in accordance with their genre, casino patrons can also see the newest RealTime Gaming titles, available at Cherry Gold. If you know the name of the specific game you are looking for, you can also select to view all casino games in alphabetical order. This way you will quickly find the title you wish to play. As it was mentioned, earlier, players can opt to download the Casino Client on their desktop device. This will give them an instant access to any game of Cherry Gold, without having to load the website of the casino. However, this downloadable version is available only to Windows users. 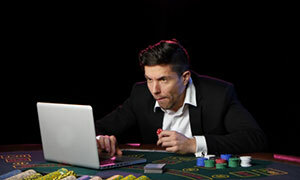 Thankfully, players who use Mac computers will have no issue loading the Flash version of Cherry Gold and play the casino’s games via their web-browsers. If you enjoy slots, then you will definitely be pleased with the diversity of slot variations you will discover at Cherry Gold. Since RTG is mostly known for its slot games, you will definitely have plenty of options to choose from. In the slot selection of Cherry Gold, you will mostly find video slots which introduce multiple paylines and bonus features. Despite having more video slot variations, the interactive casino can also offer a few titles to those who enjoy playing with lower risk and spin only 3 reels. 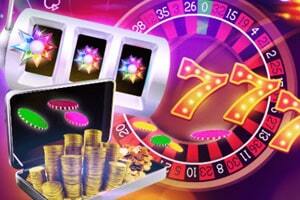 If you are more keen on classic slots, you can test your luck on titles like Three Stooges and 7’s and Stripes. Jumping beans is also a wonderful classic slot you can play at Cherry Gold. While most classic slots do not have anything special to offer to players, this is definitely not the case with Jumping Beans. This 3-reel slot has only 5 paylines but it incorporates some bonus features which can rarely be found among other games of this genre. In the game, there are both Wild and Scatter symbols which trigger an Auto Nudge feature. This means that when the Wild and Scatter appear above any reel, the Auto Nudge will move them down with one row. 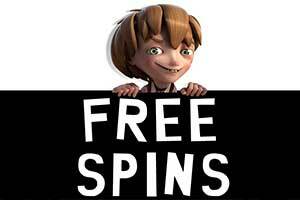 When this feature is triggered, three or more Wild symbols will activate 10 Free Spins. 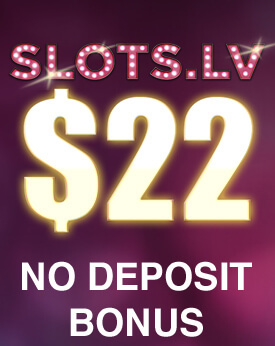 Another great thing about this classic slot is the fact that it offers two progressive jackpots which can be randomly won. If you are into playing video slots with more paylines and reels, you can try titles like Cash Bandits 2, Bubble Bubble 2, Dragon Orb, Lucha Libre and many more exciting titles. Dive into the adventures Kung Fu Rooster is offering. 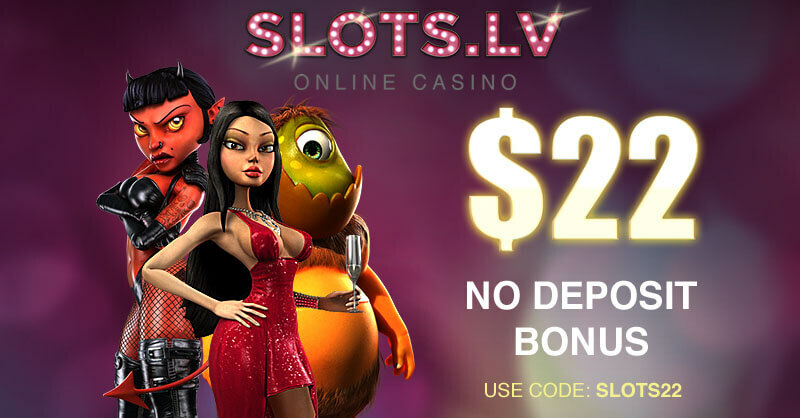 This 5-reel and 12-payline slot with great animated graphics and bonus features. The Kung Fu Rooster plays the role of a Wild symbol, while the Scatter is represented by a Monkey. Landing 3 or more Monkeys on the reels will trigger the Final Trial Bonus which awards up to 25 free spins. While the bonus round is active the Fire Claw feature may be triggered. It awards a 1x multiplier in the first free spin and with each spin the multiplier increases. The roulette selection at Cherry Gold is not that rich, however, it does offer all the popular variations of the classic table game. If you are used to playing with 38 pockets, then you will most probably enjoy RTG’s American Roulette. The design of the table resembles the one you will encounter at numerous Vegas land-based casinos. You have the numbers from 1 to 36 alternating in black and red and two green pockets representing the single-zero and double-zero options. In the game, you will have the chance to make the typical inside and outside bets. 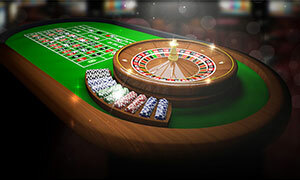 Often players prefer roulette versions which offer a lower house edge. If you are also looking for better winning chances, you can try European Roulette or French Roulette by RTG. Both of them have only a single-zero pocket in addition to the numbers from 1 to 36. On top of that, French Roulette introduces an additional La Partage rule. If you are playing with this feature, when the roulette ball lands on zero, players’ lose only half of their even-money bets. Thanks to the La Partage rule, the regular house edge of 2.70% which is typical for European Roulette drops down to 1.35% on French Roulette. If you want to make your roulette experience even more thrilling, you can try Multiplayer Roulette. 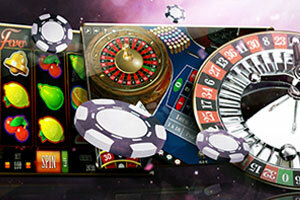 You will be able to share a game of French roulette with fellow casino enthusiasts and revel in great prizes. Those who are eager to play blackjack will have plenty of options at Cherry Gold. 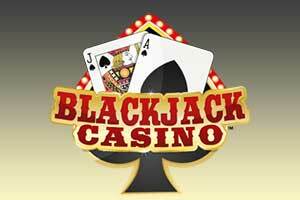 The interactive casino has prepared some classics such as Blackjack by RTG or European Blackjack which is similar to the standard game of 21 with a small twist. When you play European Blackjack, the dealer will not draw a hole card until the player is done making all of his/her decisions. If you are ready to delve into a different variation of the card game, then you should try Face Up 21. This variety of blackjack will allow players to see both of the dealer’s cards while the goal of the game is still to come as close to 21, as possible. In this blackjack variant, however, players who have hard 9, 10 or 11 after drawing their two cards, can double their bet. It is even possible to double after a split and the fact that players win all blackjack ties and the dealer always hits on soft 17 make this game a great option for gambling devotees. At Cherry Gold, there are also other blackjack variants worth playing. For fans of classic table games, there are also options like Baccarat, Craps, Caribbean Stud Poker, Texas Hold’Em Bonus and many other fun titles. Video poker is definitely a very interesting casino game and it fits perfectly the taste of slot and classic poker fans. In fact, playing video poker can turn out to be very fruitful if you use the proper strategy and select a game with high payouts. When you are choosing a video poker game, it is always good to pick a full-pay version. At Cherry Gold, you will be able to play Jacks or Better which offers the standard payout for all poker hands. This means that it is a 9/6 Jacks or Better variation which may offer amazing winning chances when players use the optimal strategy. Other interesting video poker options that you will come across at Cherry Gold include Aces & Eights, All American Poker, Bonus Deuces Wild, Joker Poker, Loose Deuces and several other variants. Among the video poker options of Cherry Gold, you can also find Mystery Bonus Poker. This is a Jacks or Better variation with an additional feature. When you place your bet, before your five cards are dealt, you will see a Mystery Bonus hand on the right side of the playscreen. This would mean that in addition to getting paid for a winning hand, you can also be paid if your hand matches the Mystery Bonus one. At Cherry Gold, players who are on the lookout for massive rewards can play a handful of games with progressive jackpots. These titles include both video slots and card games and some of them can easily make casino members instant millionaires in no time. The current biggest jackpot is offered on Aztecs Millions. This 5-reel video slot is definitely not a game that will impress with graphics and sound effects. However, the progressive prize that can be rewarded at random is definitely alluring numerous players. Other progressive slots you will come across at Cherry Gold include Jackpot Piñatas, Spirit of the Inca and Megasaur. If you wish to play card games and try to win their progressive prizes, you can also try Caribbean Draw Poker, Caribbean Stud Poker or Caribbean Hold’Em Poker. At Cherry Gold, players will also have the chance to explore several games that do not fall under any of the aforementioned categories. Oddly enough, in this section of the online casino, you will find roulette variations. Keno, Sic-Bo and Roaring Twenties Bingo are also among the titles you will find among the specialty games of Cherry Gold. If you are interested in trying something different, you can also play on scratch cards. These include titles like Treasure Tree, Lucky Eights, Magic Sevens and Hot Dice. Are the Games at Cherry Gold Fair? One of the top priorities of Cherry Gold is to provide a fair gambling environment for its members. This is why players can be sure that the result of every game played at this online casino is arbitrary. This is proven by the Random Number Generator (RNG) Cherry Gold utilizes. This system ensures that all of the games played at the interactive casino are fair and no one can predict their outcome. Since you will know that the outcome in every game of the casino is random, you can be sure that no one will be able to manipulate the slot, roulette, blackjack or any other game you are playing at Cherry Gold. Is Cherry Gold a Downloadable Casino? Yes. You can absolutely opt for downloading Cherry Gold on your desktop device and enjoy access to the full range of games the virtual casino provides. 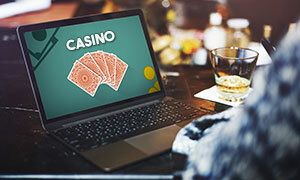 The Casino Client can be downloaded on your personal computer or laptop as long as it runs on a Windows operating system. If you are a Mac user, however, there is no need to worry as Cherry Gold can also be accessed via the majority of commonly-used web browsers. This will allow you to load the website of the casino and play instantly on the games it provides. For the instant-play mode of Cherry Gold, make sure to have installed the latest version of Adobe Flash Player as this will guarantee that the games will run smoothly. Yes. Since RealTime Gaming has provided its software platform to Cherry Gold, you can easily play the majority of the casino’s games even when you are on the move. Both iOS and Android users can quickly load the mobile version of Cherry Gold via the browser apps on their portable devices.